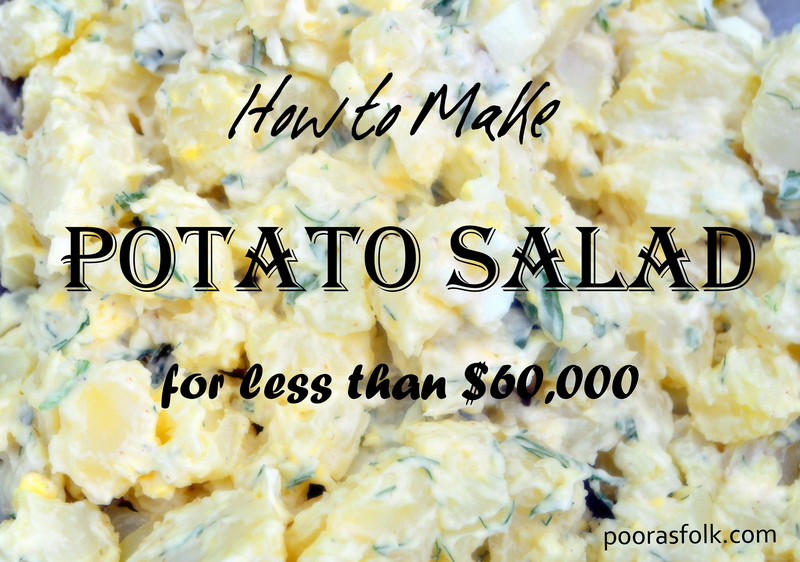 I have table-flipping-She-Hulk rage over that dude who raised at least $60,000 to make a damn potato salad. There was a 3 day period where I may have needed a trigger warning for talk of potato salad. Which was sad because I really wanted to eat some potato salad. Since,you know, that’s about all I can eat these days and it sounded like a nice change from soup. 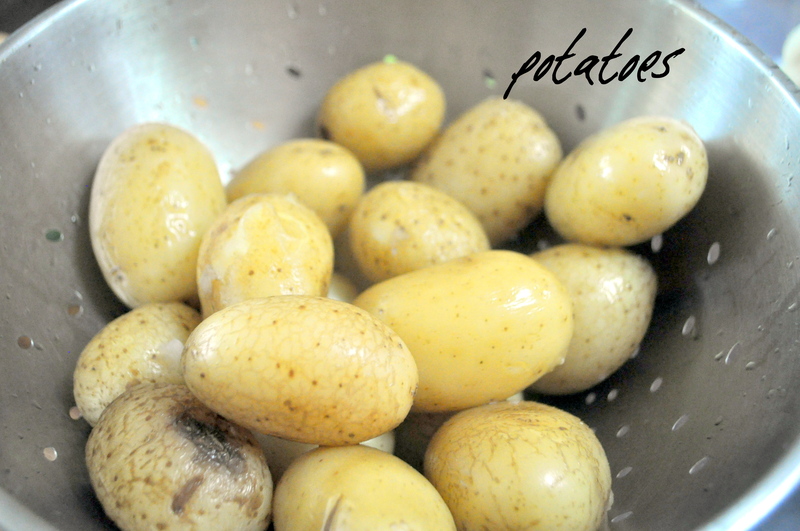 Over the weekend, we had salt potatoes for dinner. The next day, I used the leftovers to make what could only be described as Rage Against the Potato Salad Kickstarter Potato Salad. It was good with only a slight aftertaste of bitterness & rage. …cut ’em into chunks. Maybe peel them first. Maybe not. Whatever. 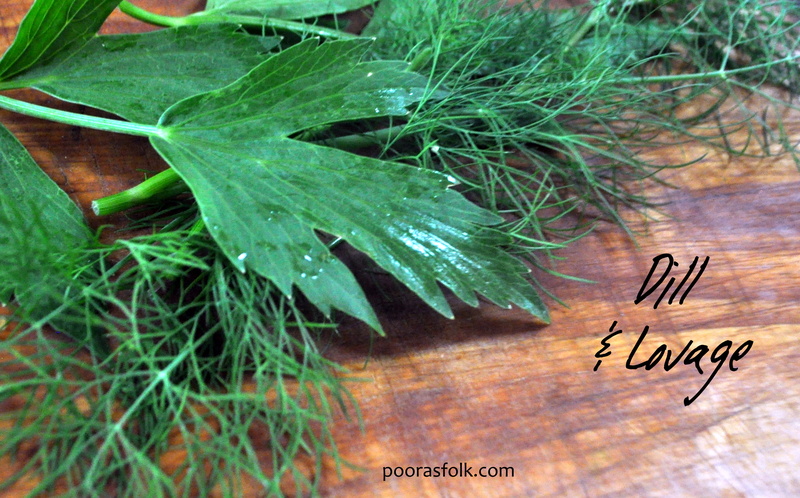 Add some mayo, Dijon mustard,a splash of apple cider vinegar…some herbs (I like dill & lovage). Maybe even chop up some onions, if that’s what you’re into. I like hard boiled eggs in it,too. That’s it. How much of each? Who knows. I just throw it together until it looks like potato salad. Like I said, doesn’t take a genius. Or someone who has money. I made a huge bowl for probably about $3.00 or so. I need a kickstarter for a new house with better lighting in the kitchen so my food photography doesn’t look like crap. This potato salad tasted better than it looked. If you have money to throw at a cause, please give it to people who need it and not someone who started a fundraiser as a joke. If you don’t trust people on the Internet, go buy some potatoes and other good food to donate to your local food pantry. Thanks. Previous Previous post: The money spent on the F-35 would be enough to buy every homeless person in the country a mansion. Amen sister! I’m helping get a food pantry for my little rural community. We have about a hundred needy families. Over half are senior citizens. A ten dollar donation would be a generous box of food, about a week’s worth, for a family. Use your charity budget wisely! I actually cried when I 1st saw it. It was only at $16,000 then. I’m pissed. I wanted so much to raise the money you NEED and every single day, there are really worthy causes & individuals who need funds…and it’s a major feat to raise money. Grrr. I’m sorry. I am hijacking things. I am just scared and overwhelmed. What the world needs now is more economic justice and fewer internet gimmicks. 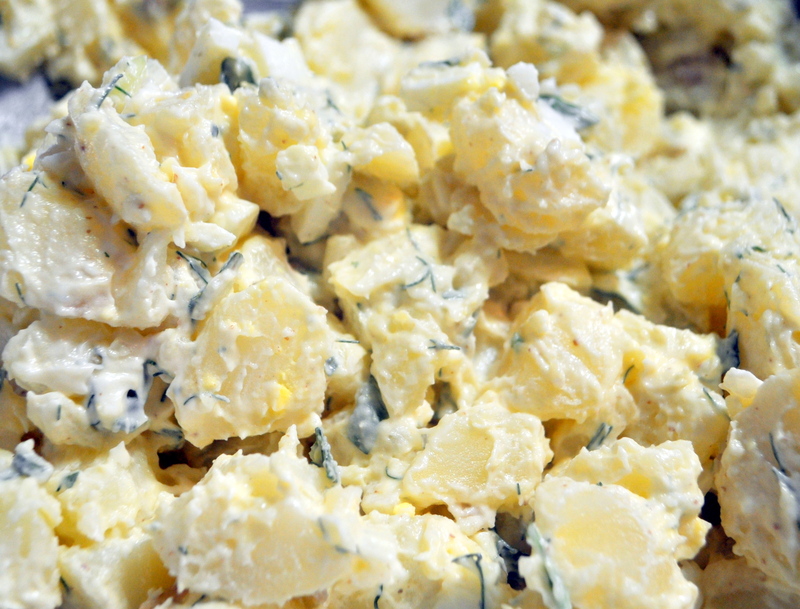 I don’t know Jupiter–I think your potato salad looks wonderful! And a terrific thing for a summer meal. Thanks for the recipe, looks yummy!